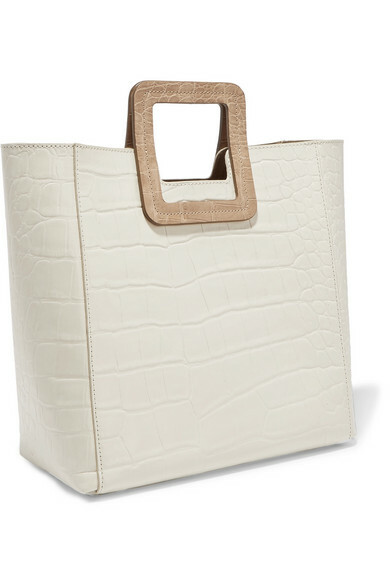 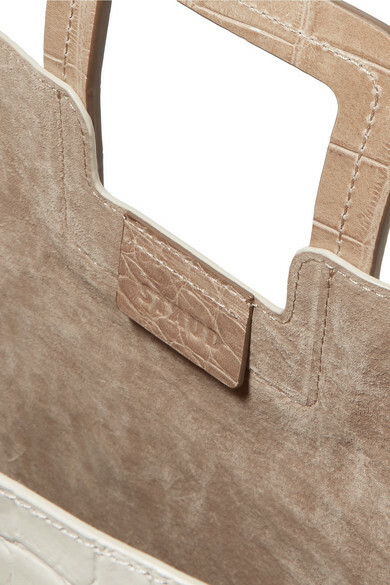 You've probably seen STAUD's 'Shirley' bag all over Instagram in the PVC finish, but for Spring '19 it's updated in opaque croc-effect leather for the first time. 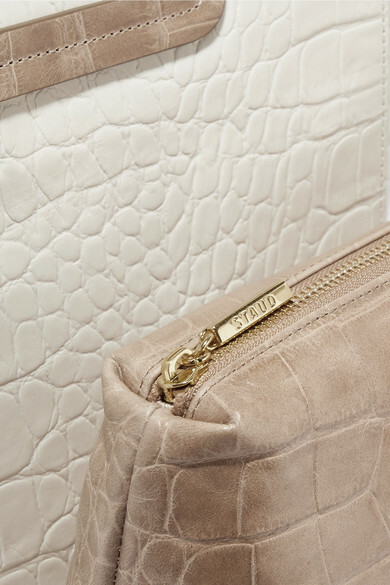 Designed in a structured silhouette, it has a suede-lined interior with a removable pouch that you can take out and carry as a clutch to parties and events. 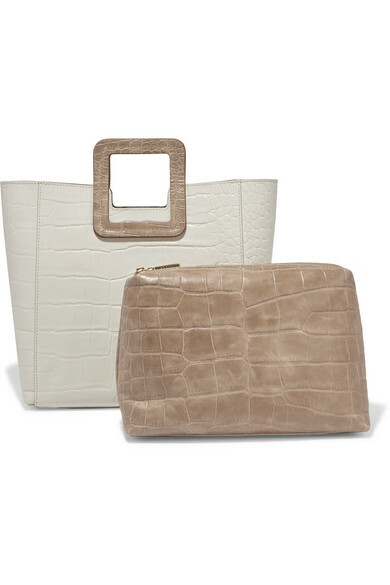 The cream and taupe colorway will really suit the season's neutrals. 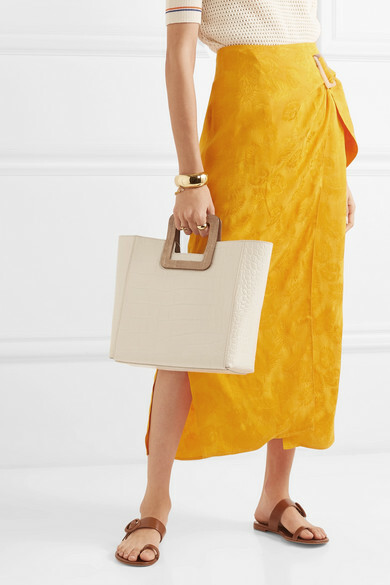 Shown here with: REJINA PYO Skirt, Tory Burch Shirt, Gianvito Rossi Sandals, Kenneth Jay Lane Bracelet, Paola Vilas Ring, Laura Lombardi Ring, Natasha Schweitzer Bracelet, Catbird Necklace.